A contemporary collection of bathroom taps with cascading waterfall pattern. 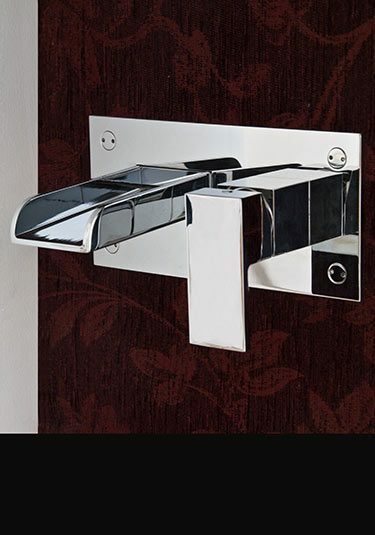 These chrome taps are Italian designed and European manfactured. Within this tap fittings range we supply. 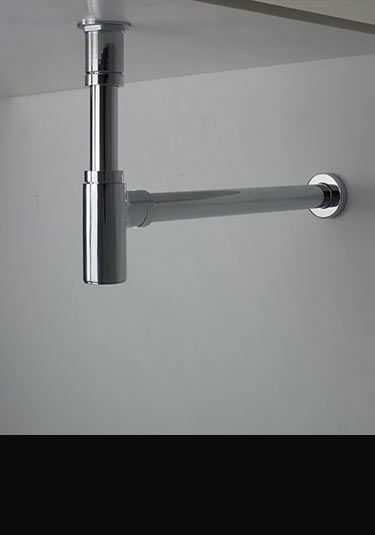 Waterfall basin taps which are single water mixing, wall mounted waterfall mixer taps. tall basin taps and extended taps for wash bowls and counter top basins. 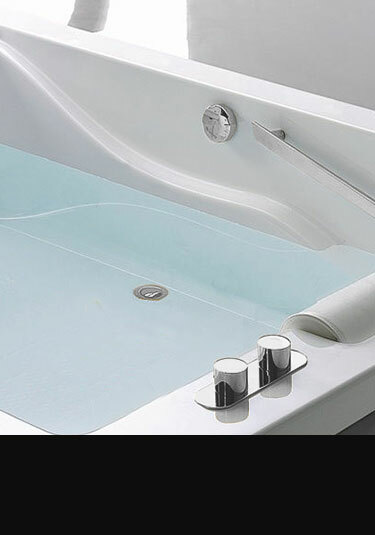 For baths we have waterfall bath taps, bath fillers with waterfall spouts as well as an impressive freestanding bath tap with a shower attachment that is floor standing. To compliment we offer matching waterfall shower heads. 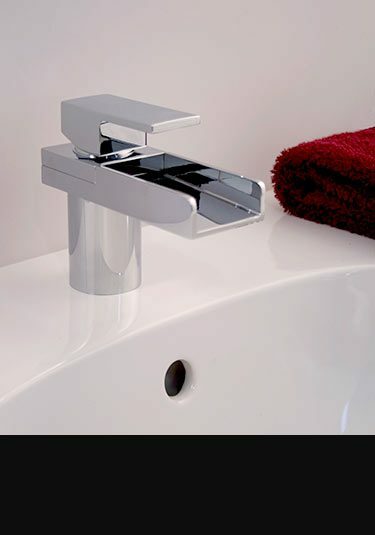 All luxury taps are supplied with a long 10 year guarantee for peace of mind. A simple open bath spout design with a gentle waterfall water flow, is a tranquil addition to good bathroom design. Made in Italy in solid brass and chrome. 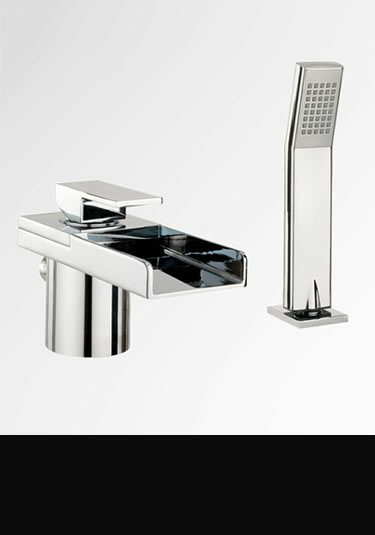 LIVINGHOUSE offers an ever expanding range of premier quality waterfall taps. The designer range includes the latest European innovation and designed to be highly functional brassware. The smooth faucet curves and sharp edges make them a great design choice for any contemporary styled bathroom. 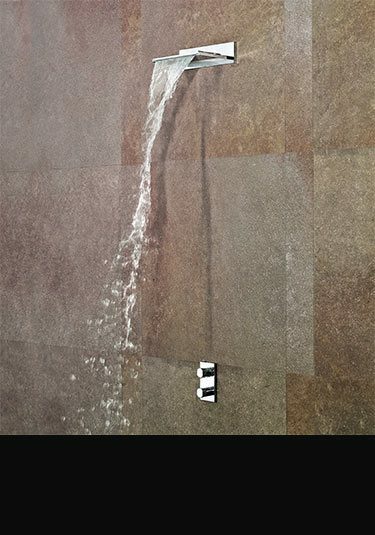 * Basin taps - The contemporary lines of our monobloc taps are visible in the open cascading waterfall spout. 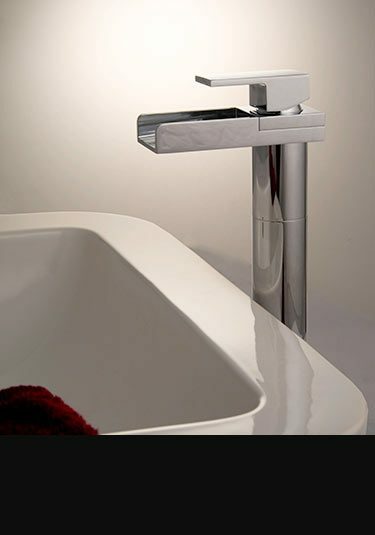 Luxury bathrooms spaces can also benefit from the sharp cubic lines of the counter top waterfall taps, including an extended mixer version which blends in seamlessly. 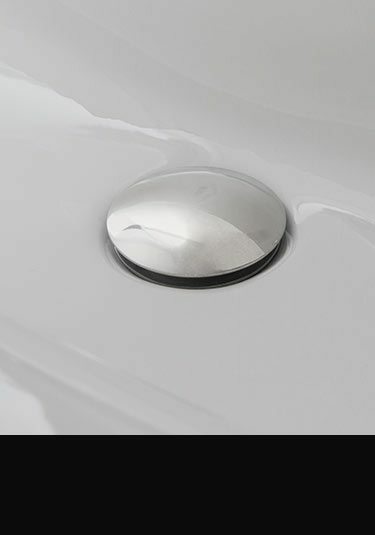 * Bath fillers - We supply the waterfall monobloc bath filler that has a single lever operation. It complements well with the monobloc basin mixer tap and together they bring beautiful styling to high quality bathrooms. 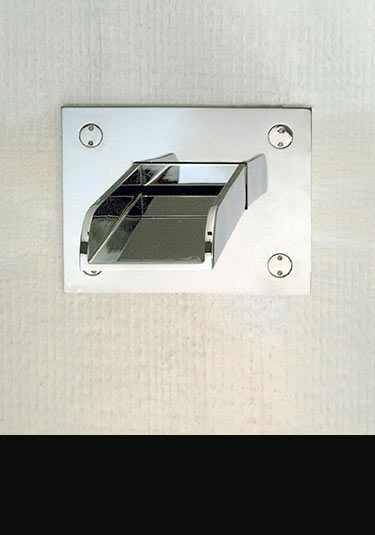 * Wall mounted designs - The glossy chrome and angular style of our contemporary wall mounted taps are meant for flush wall mounting. The large open waterfall spout works best with basins and wash bowls. They are made of solid brass plated with a thick top-end chrome finish. 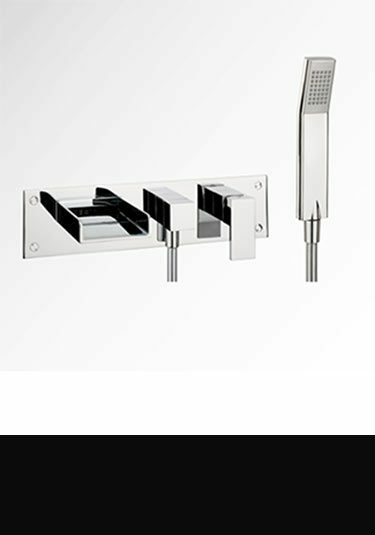 We also have wall mounted bath fillers with an additional pull-out handheld shower for easy maintenance and hairwashing. 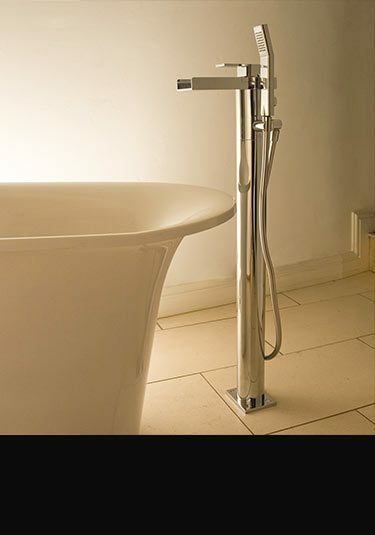 * Floor standing designs - These Italian floor standing bath fillers are made in solid brass and chrome. Their luxurious look complements a freestanding bath. 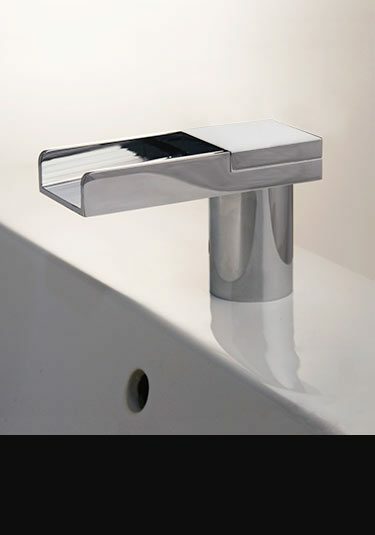 Our taps have a cascading waterfall pattern and have been provided to us by the finest Italian designers. 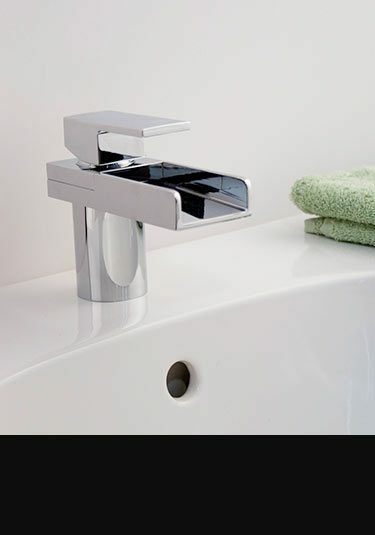 All the products in our waterfall bathroom tap collection have a chrome finish and supplied with a 10 year manufacturer guarantee.